watchface with 5 rings. 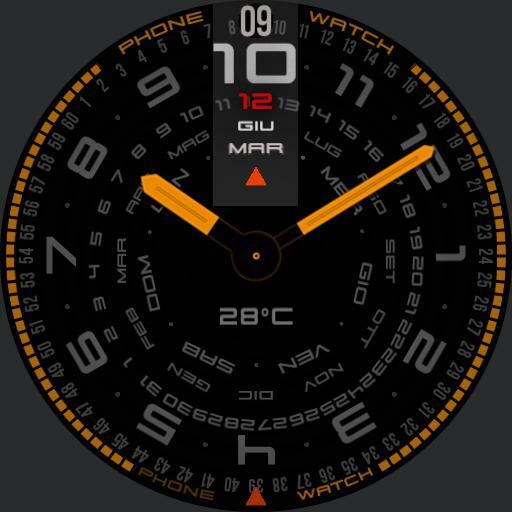 date, hours, minutes and 2 battery indicator. tap in 3 and 9 foto dimmed regulation, tap in 6 for multicolor, tap in 12 for second watchface. burn in protection inside.